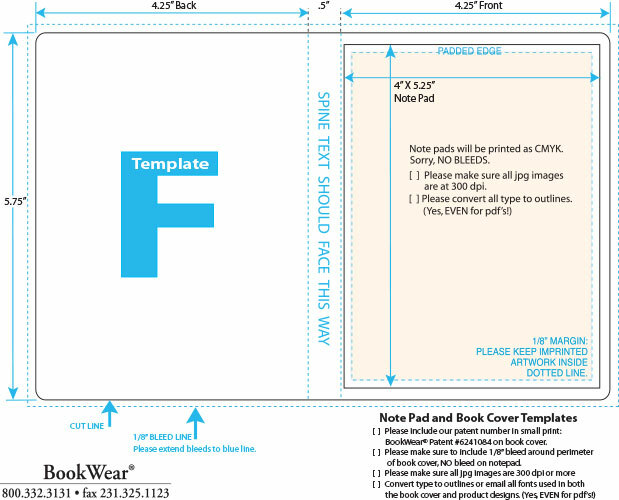 Templates are available for download. 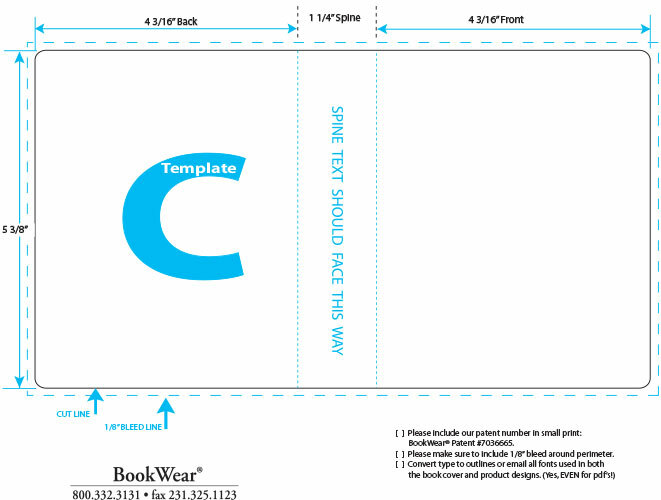 Front and back of covers measure 5.75″ tall x 4″ wide. 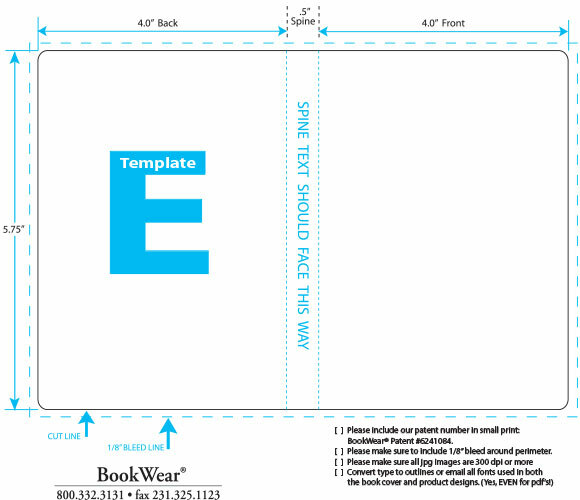 (Please include a 1/8″ bleed if print extends to the edges.) Spine sizes vary according to the product, t-shirt size, style and color. 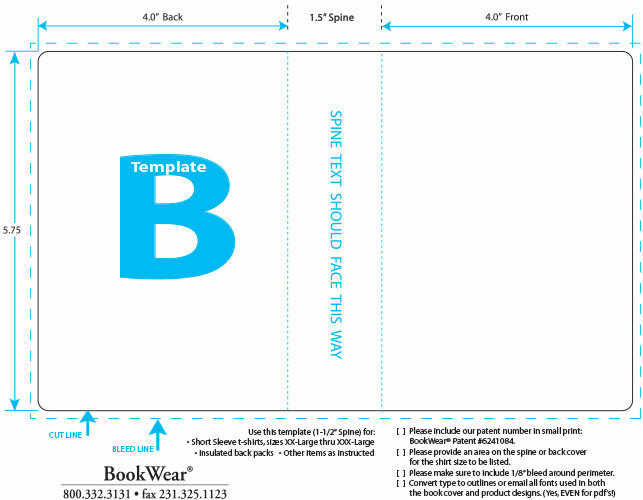 Light colored t’s sized from S – XL use a 1.25″ spine. XXL book spines measure 1.5″. 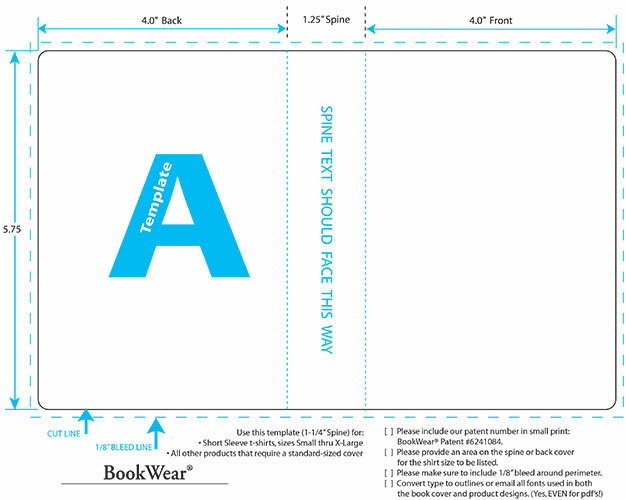 Dark t’s sized from S – L use a 1.25″ spine. Sizes XL – XXL are 1.5″. Spine sizes for other products vary. 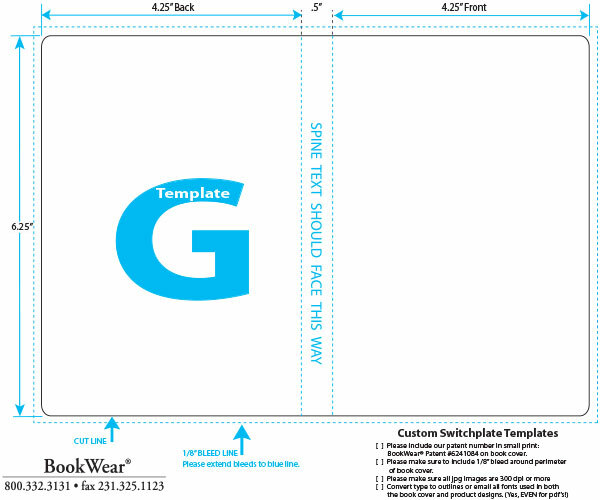 Please view or download a template for the specific item you will be ordering. 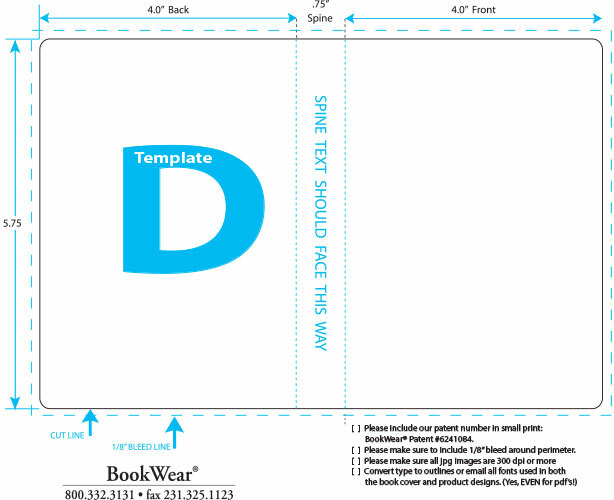 You may provide printed material and we’ll insert it into BookWear® for no extra charge. Campus maps, reply cards, schedules, etc. 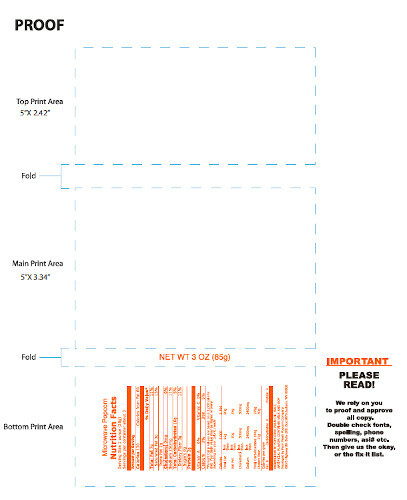 must have a finished size (actual or folded) of no larger than 3.675″ x 5.25″.